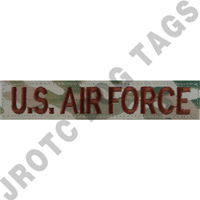 United States Air Force Multicam OCP Custom made nametape. Select Between sew on or hook back options. 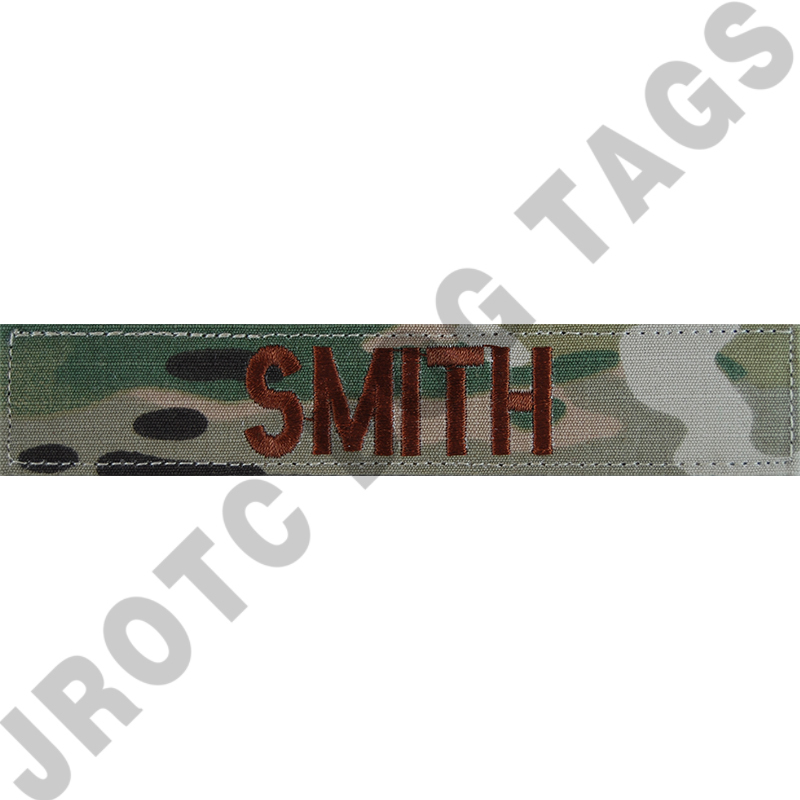 Name tapes are embroidered in brown/spice thread on Multicam background tapes. They are Air Force (USAF) approved for the uniforms. ***Also available are last name nametaps and flag patches for uniforms and hook back or sew on ranks.